Curious about our Fish Tacos? It’s no question that a lot of people really enjoy tacos. But have you tried the fish tacos at Scooter’s Fish House? Meet your new love: Fish tacos! 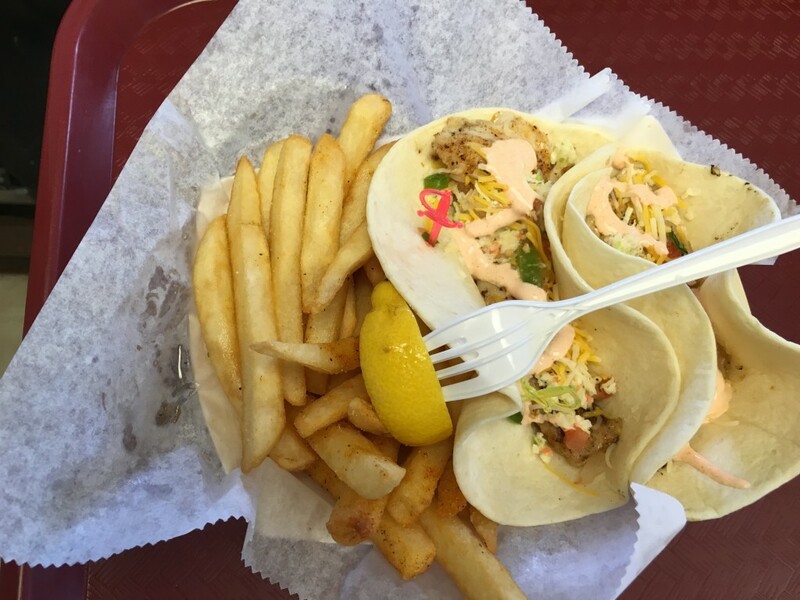 At our seafood restaurant we offer a fish taco meal that comes with two tacos served with a side of fries. The tacos are available in three options, grilled fish, grilled shrimp, and for our non-fish lovers, we have grilled chicken. They come wrapped in a warm flour tortilla. And to perfect the tacos we top them with fresh coleslaw, garden-fresh pico de gallo, shredded cheese and our signature dressing. All we can say to describe them is they are “perfectly balanced goodness”. These tacos are truly a fan favorite at our seafood restaurant. Head out to Scooter’s and we’ll let you be the judge.